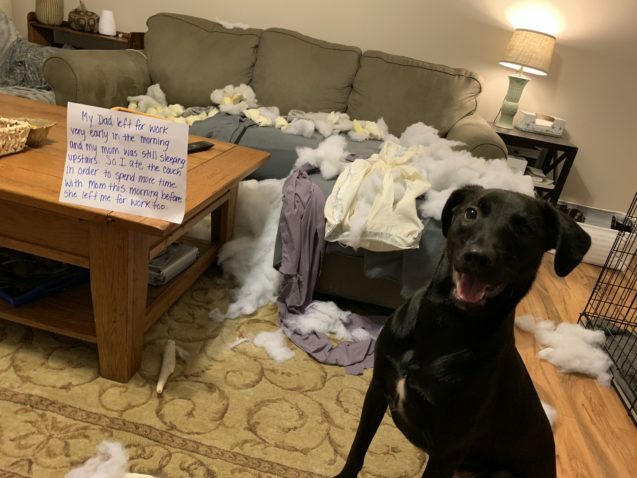 Posted December 17th, 2018 by dogkeeper & filed under Dog Bed Destruction, Submitted. 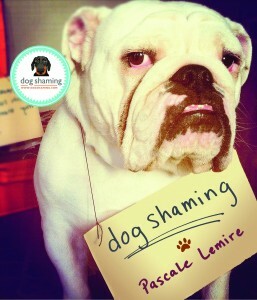 Posted October 23rd, 2018 by dogkeeper & filed under Couch Potatoes, Dog Bed Destruction, Submitted. My dad left for work very early morning and my mom was still asleep upstairs. So I ate the couch in order to spend more time with mom before she left me for work too. 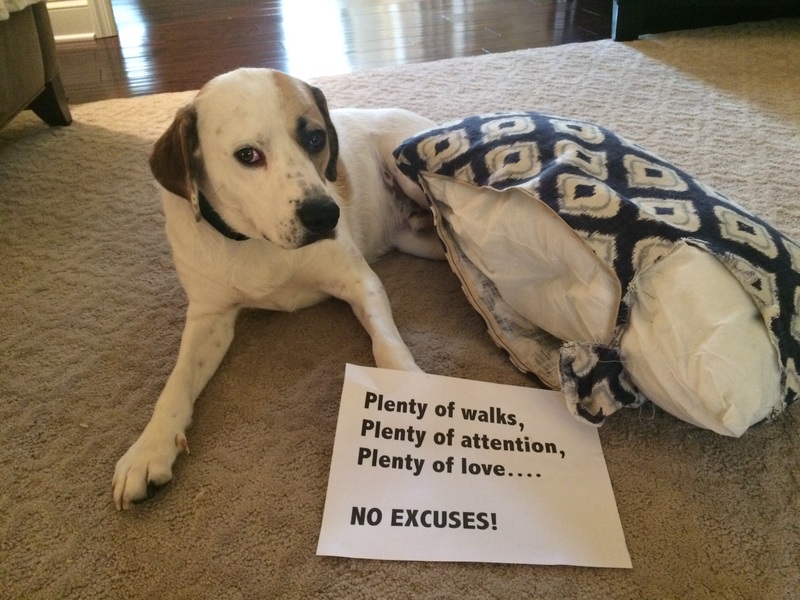 Posted September 26th, 2018 by dogkeeper & filed under Couch Potatoes, Dog Bed Destruction, Submitted. Posted August 13th, 2018 by dogkeeper & filed under Dog Bed Destruction, Submitted. Kahle seems to think she is too good for her $75 bed. 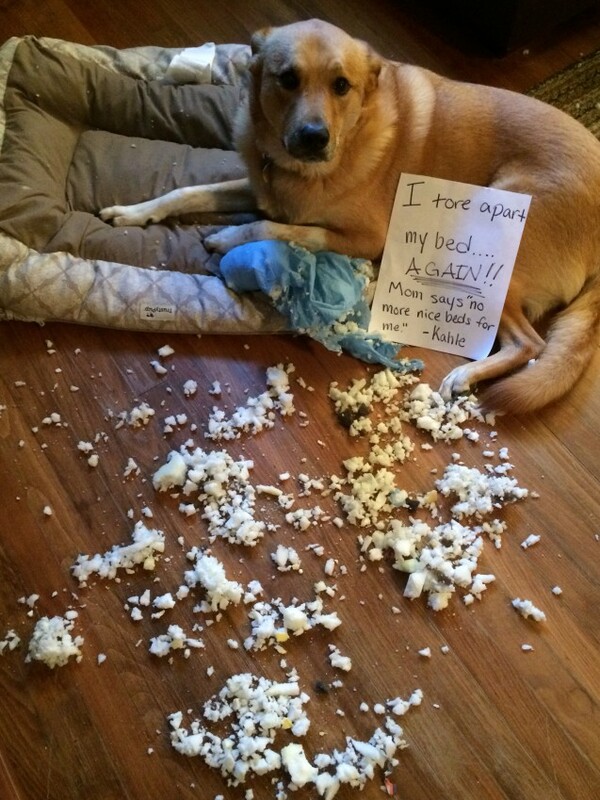 Posted June 12th, 2018 by dogkeeper & filed under Dog Bed Destruction, Submitted. 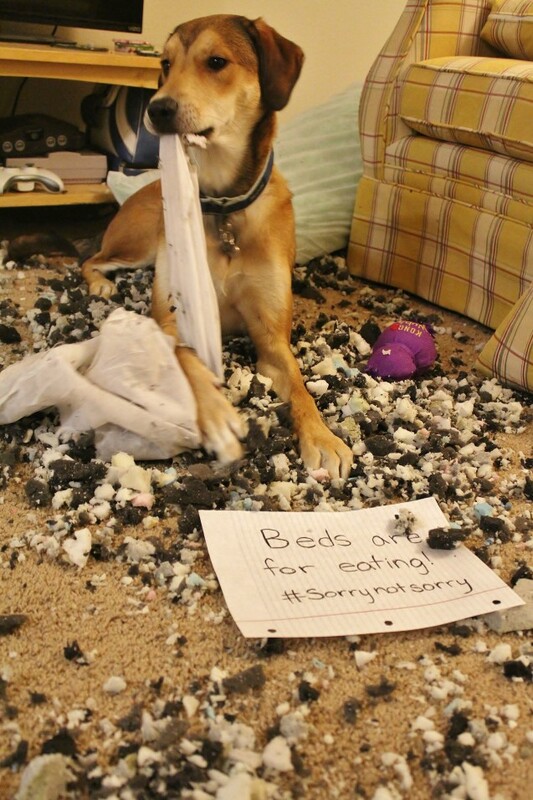 Posted April 15th, 2018 by dogkeeper & filed under Dog Bed Destruction, Submitted. I gave my mom a heart attack when she mistook the stuffing from my bed as explosive diarrhea. 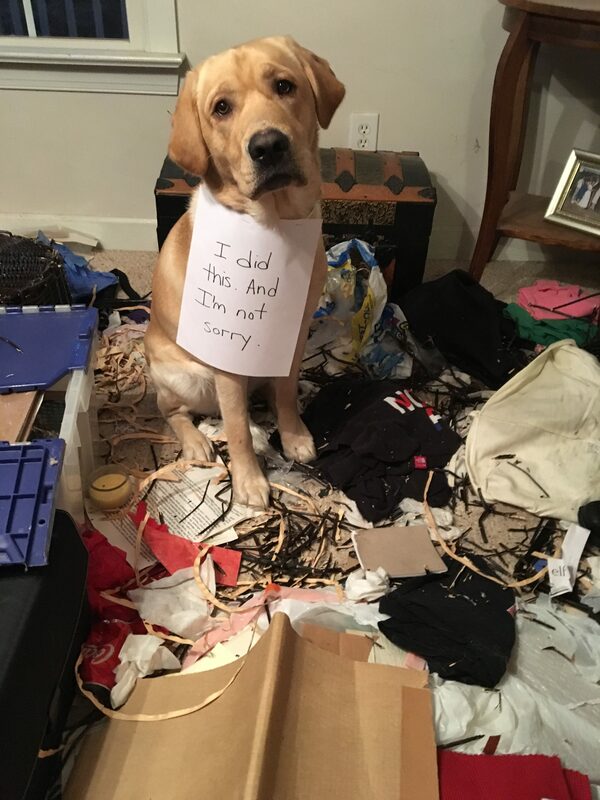 Posted March 31st, 2018 by dogkeeper & filed under Dog Bed Destruction, Submitted. Posted March 7th, 2018 by dogkeeper & filed under Couch Potatoes, Dog Bed Destruction, Submitted. 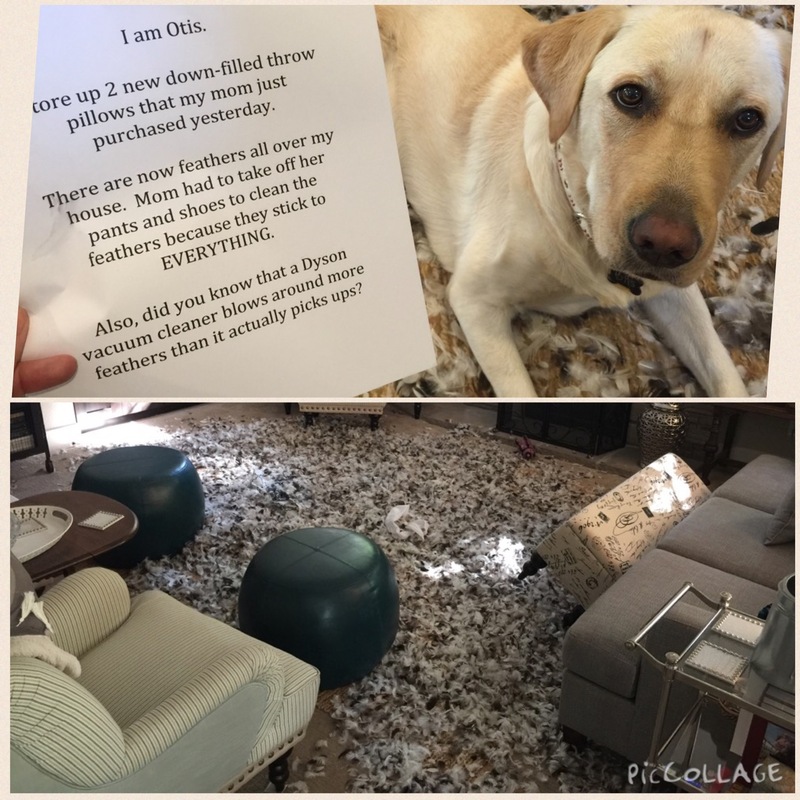 Otis, the Labrador, tears apart a new down-filled throw pillow. 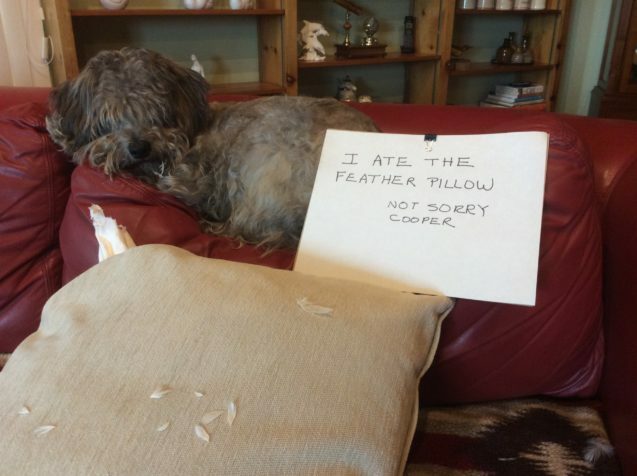 Feather bonanza ensues. 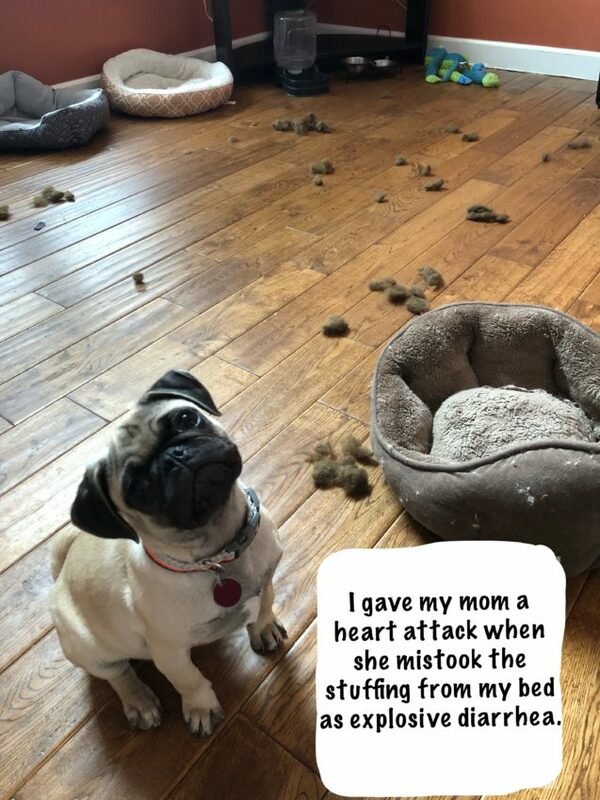 Posted February 24th, 2018 by dogkeeper & filed under Dog Bed Destruction, Submitted. 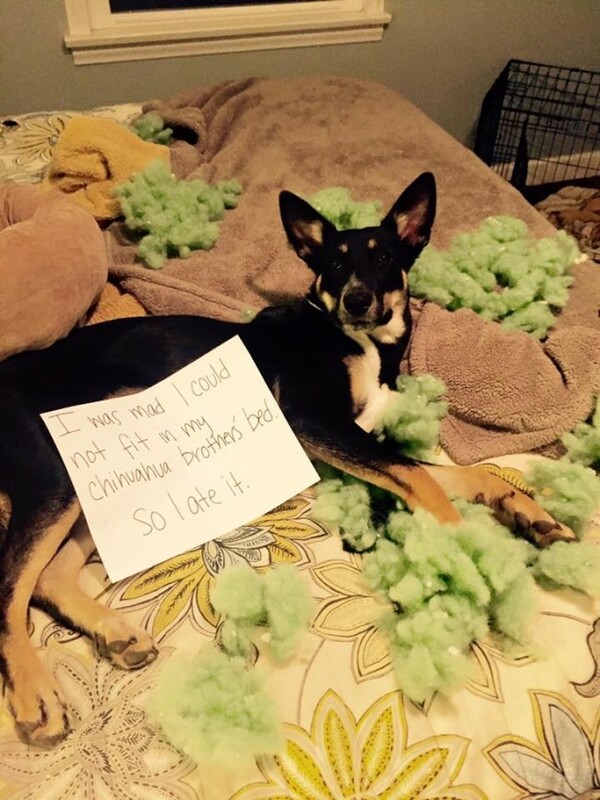 I couldn’t fit inside my chihuahua brother’s bed. So I ate it. 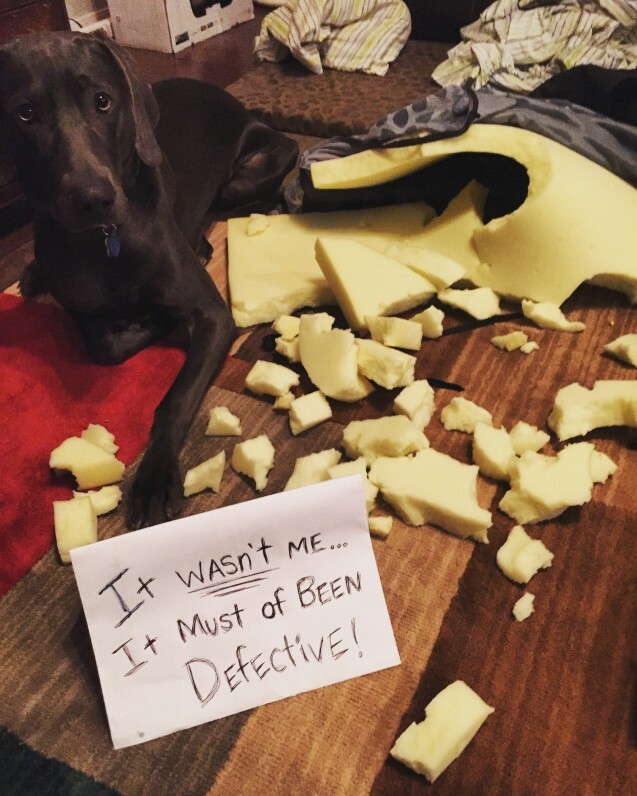 Posted January 29th, 2018 by dogkeeper & filed under Couch Potatoes, Dog Bed Destruction, Submitted. Jack was always such a good boy, we don’t know what came over him.